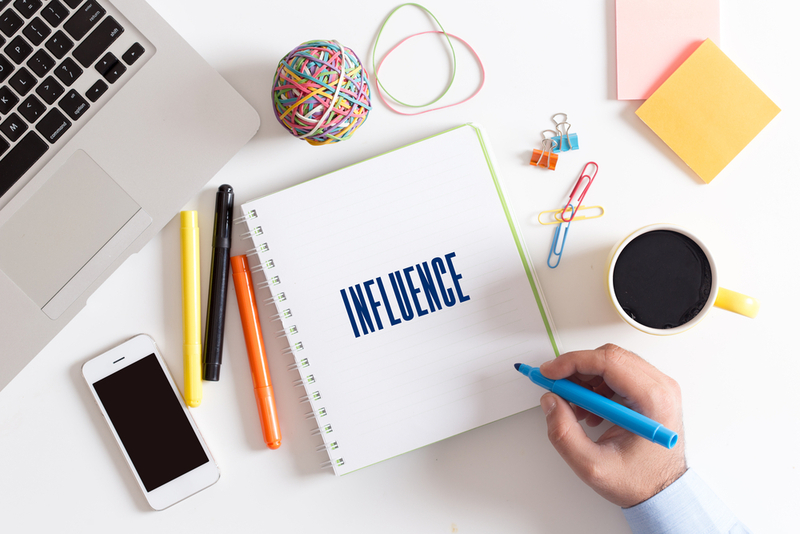 This month we have been focussing on what makes a powerful influencer, and how to utilise your existing skills to become one. When we talk about sustainability, we need to be able to interest other people and persuade them to make a change or think about things differently. You may already have some of these skills and just don’t know it, or maybe you recognise a skill that you need to improve on, either way, you do have the ability to become a powerful influencer. We’ve put together a few ideas to help you start asking yourself the right questions and figure out how you can become a powerful influencer within your field. What are you good at? What are you an ‘authority’ on? Ask yourself these questions to fully establish yourself within your field. Think about what you do already that works well. Are you a good communicator? Do you know how to persuade someone to see your point of view? Do you have a strong network within your field? All of these are tools at your disposal, the key is to maximise the potential by using these effectively. With the sustainability industry growing rapidly, it’s a great time to establish yourself as a powerful influencer or “change maker”. However, with a growing number of people entering this realm of work, you will need to know what sets you apart from the crowd. What do you do differently to everyone else? Why should people follow you? What is your USP as an influencer? One way to identify this is to consider what ‘circles of expertise’ or perspectives you bring together that is special to you. Try mapping this out as a Venn diagram; where your circles overlap is where your uniqueness lies. Spotting what you are lacking in. What do you want to change? Think about how you can utilise your connections to fill in these gaps, is there someone you could collaborate with to help you with your goal? There is always room for improvement and to be a powerful influencer you must be able to adapt and change strategy when needed. People will be much more likely to follow you and take your advice if they can see that you are consistent in your message. Ensure that you follow through on your actions and lead by example, this will strengthen your image as an influencer and make people feel more confident about taking your advice. ‘Show, don’t tell’ was a key take away from the WINS Oxford Hub event on this topic – how might this work for you? Always stay true to your reason for doing what you do, this is what makes a truly powerful influencer and will inspire other people to follow what you believe in. Regularly remind yourself of why you got started in the first place and incorporate this into your message. This will not only keep you on task but will show others how they can get started with their own journey. Time invested in reflective practice to get clear on your passion and purpose is time wisely used. All of our expert speakers at the WINS Bristol Hub event this month identified how important it is to truly understand the perspectives and concerns of those you are trying to influence, and adapt and incorporate accordingly. Listen carefully, use their language, identify where your common ground lies together. From that shared common ground, then build a uniting, inspiring vision.